Oh So Swedish | Updated 13-02-18 – Semlor (Lent Buns) in Oh So Swedish next weekend instead of today (The Shrove (Fettisdagen). 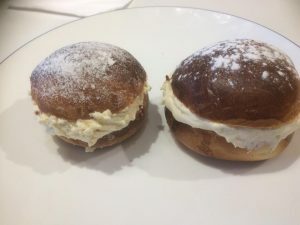 Updated 13-02-18 – Semlor (Lent Buns) in Oh So Swedish next weekend instead of today (The Shrove (Fettisdagen). 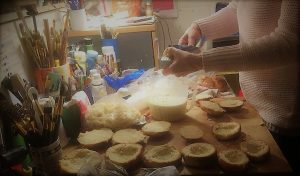 Lots of Swedish home baked Semla Buns were eaten in Oh So Swedish during the weekend 9th & 10th of February. More Semla Buns available next weekend, the stormy weather forced me to keep closed today. However, Swedish Semlor will be available Friday – Sunday, next weekend ( 1.00 – 4.30 pm) Weather permitting. Semla is a filled bun, baked with plain flour and freshly grounded cardamom, The filling is whipped cream with almond paste. 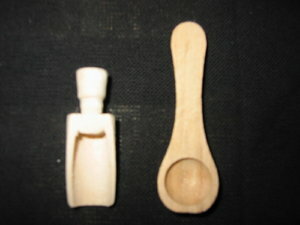 Powdered with icing sugar. Very filling as Shrove Tuesday pancakes but a Swedish speciality, sometimes also eaten with hot milk (Hetvägg).